Southeast Asia's most extreme and largest sailing event, The Philippine Hobie Challenge is back on the Philippine shores. This was made possible through the partnership inked by the Philippine Inter-Island Sailing Federation (PHINSAF) with LBC, the leading name in Business Logistics. Utilizing their expertise, LBC was able to transport 15 brand-new Hobie 16 boats and 3 Hobie 16 charters from the Philippine Hobie fleet that sailed through the beautiful waters of Coron and Busuanga in Palawan from March 11-17, 2018. The event consisted of five inter-island legs ranging from 30-50 nautical miles each, and a one in-shore racing series billed as the “LBC BUSINESS SOLUTIONS IN-SHORES” involving up to 5-course races. 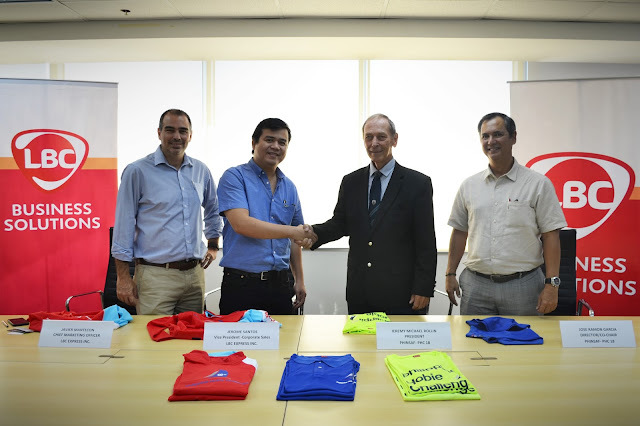 LBC’s Chief Marketing Officer Javier Mantecon is proud to have entered the partnership with PHINSAF, which he likened to Ronda Pilipinas, their very own sports advocacy. He said: “In helping PHINSAF reach through the country’s various regions, we’ve also brought to light the thrust of our foundation of helping regions which are deprived with the basics of education like books and classrooms. It has also brought emphasis to PHINSAF’s outreach program, which we strongly support, that provides ample water and electricity for local barangays and fishing communities that host the participants”.